The Leesa mattress is the newest breath of fresh air in the mattress industry. I’ve been sleeping on my Leesa for a few months now… The short review? Loving it…but there’s plenty more to say. Leesa Coupon: Use code “SLEEPOPOLIS100” to save £100 on any Leesa order. In a rush? Skip to the review summary. There are two major components to Leesa’s mattress construction; the layered foams and the cover. The Leesa mattress uses 3-layers of foam. Top layer (comfort / cooling) – This top layer is 5cm of Avena foam. Avena is a patented foam that acts like latex foam (great cooling, bounce, comfort, etc. ), but is more durable. This layer is designed to provide great comfort and cooling. Middle layer (support) – This is a 5cm layer of memory foam. It provides support, pressure relief, and deep compression support. Bottom layer (foundational) – This is a 15cm layer of high-density support foam. It acts as a foundational base for the mattress. It’s also highly breathable (like the above layers), so it will not absorb excess heat. The Leesa mattress is a hybrid mattress. The idea behind hybrids is to get the benefits that both Avena and memory foam have to offer, whilst minimizing their negative attributes. Avena foam is a latex foam alternative; as such it’s designed to provide airflow, cooling, and great comfort. Memory foam, whilst extremely supportive, tends to “sleep hot”. However, by layering Avena and memory foam together you get great support, comfort, and a cool top layer. During my sleep test I was really impressed with the construction, especially how it translated into support and comfort. Most hybrid mattresses only utilize 3 or 4cm of latex (or similar Latex-like foam) / memory foam in construction. Having 5cm of Avena and 5cm of memory foam makes a big difference in how the mattress sleeps. The Avena foam is very responsive, meaning it quickly changes shape and molds to your body. The hybrid mattress lives up to its aim. It doesn’t sleep any hotter than a traditional innerspring mattress. Overall, the construction looks and feels very well made. At Sleepopolis I’m always working to get you the best discounts on mattresses. If you buy the Leesa make sure to use our exclusive promo code. You can save £50 on any Leesa mattress instantly with this link. The cover is cut from a single piece of fabric that wraps the entirety of the mattress. Whilst the cover itself is functionally not a major factor (i.e., you never will see it once you put your sheets on it), to me it speaks volumes about Leesa as a company. Quite frankly, the cover just looks awesome. I personally love the Leesa 4-bar design. And being cut from a single piece of fabric makes it look that much sharper. Additionally, the cover itself is fairly thick. It’s a high-quality piece of material that has been woven well. The cover is constructed from a poly-lycra blend fabric. Lycra is the same material they use in performance sports clothing. It’s highly durable, stretchy, and breathable. From my perspective, if Leesa is willing to go to these lengths to create a beautiful, soft, and eye-catching cover, the rest of the mattress is likely built to the same standards. The Leesa is fairly neutral in terms of firmness. It’s a mattress designed to meet the needs of the majority of sleepers. It’s sits at a 6 out of 10 on the firmness scale (where 10 is the most firm). In terms of overall comfort and support, for me, it’s really hard to beat the Leesa. To put it bluntly…it just feels really good. Compared to other factory direct mattresses, Leesa is on the high-end in terms of foam thickness. Granted, more thickness doesn’t always translate to better support and comfort, but in this case it feels like it’s making a sizable difference. 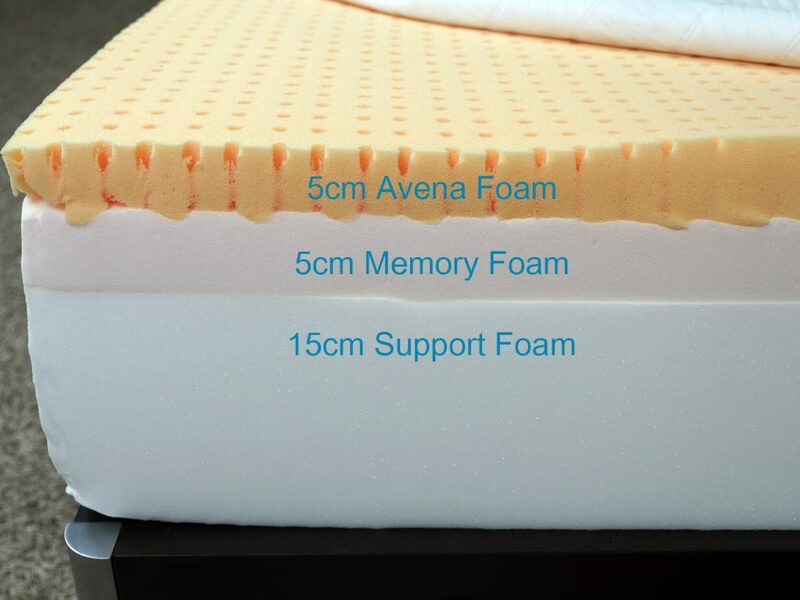 Leesa has 5cm of Avena foam as the top layer, 5cm of memory foam in the middle, and 15cm of foundational foam. The Avena top layer feels fabulous. When you initially lie down, you can immediately feel a great softness and subtle hug around your body. After a moment, the memory foam begins to conform to your body shape. The 10cm combination of Avena and memory foam is interesting. I’m normally not a back sleeper, I’ve slept on my stomach my entire life, but the Leesa has allowed me to sleep comfortably on my back for the first time. 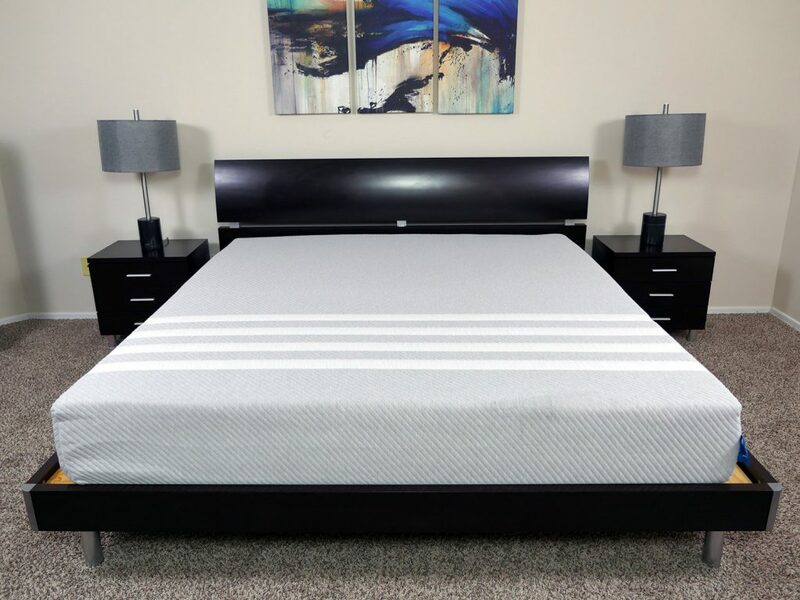 It’s the subtle combination of Avena foam softness with memory foam hugging support that is unlike any other mattress I’ve slept on. The Leesa’s overall sinkage is moderate. Additionally, the Avena and memory foams do a good job of minimizing motion transfer, which makes it ideal for couples. All mattress reviews on Sleepopolis go through a short series of sinkage tests. I created these tests to help give you an idea of how the mattress performs under various positions and pressures. Normal lying position – In a normal lying position where my weight was evenly distributed I saw 5cm of sinkage and hug. Normal side lying position – In a normal lying position on my side, I saw 6cm of sinkage and hug. Sitting on the edge (conservative) – In a conservative sitting position on the edge of the mattress (where I am sitting a bit farther back on the mattress), I saw 9cm of sinkage. Sitting on the edge (aggressive) – In a more aggressive sitting position on the edge of the mattress (where I am sitting directly on the edge of the mattress), I saw 10cm of sinkage. Standing in the middle – While standing in the middle of the mattress with all of my weight focused on a single point, I saw 11cm of sinkage. Overall, the Leesa did a pretty good job on all of my tests. All foam mattresses tend to struggle with edge support, so these results were to be expected. The big thing I look for is the full collapse. The Leesa showed some sinkage in each position, but it did not collapse or lose structural integrity. This is an important factor for both sleeping (near the edge), sitting on the edge, and amorous activities. Leesa offers a very strong 100-day, in-home trial period. Compared to other factory direct mattress companies, 100 days is really the max anyone is offering. If for whatever reason you don’t like the mattress within the 100-day trial period, just drop their customer service team an email and they will refund your money. You don’t even have to ship the mattress back. If you don’t like the mattress, Leesa will help arrange for a donation or recycling center to come pick the mattress up at no cost. In addition to the 100 day trial period, Leesa also offers a fairly standard 10-year full replacement limited warranty. Leesa mattress pricing is fairly typical among factory direct mattresses. Comparing the Leesa to brick-and-mortar prices, you can expect to save £500-£1,500. When you combine the free shipping and the £100 discount link, it really is a compelling price point that is hard to match. Leesa mattresses are made to order and ship to your house compressed in a large box (45cm x 45cm x 114cm) in 3-10 days. Also, shipping is free, which never hurts. It’s rare today to see a company that’s committed to giving back and helping communities, and even rarer for a start-up to build that into the very foundation of who they are, but that’s exactly what Leesa is doing. For every 10 mattresses Leesa sells, they are donating 1 mattress to homeless shelters and others in need. Beyond making a good mattress, Leesa is just a good company. It really is refreshing to find a company set its business goals in line with strong foundational philanthropic goals. Overall, I’m impressed. I’m sleeping as well as I ever have. The Leesa mattress just feels incredible. So much so that a life-long stomach sleeper is able to sleep comfortably on his back and side.The construction is really impressive. I attribute the comfort and support directly to the materials used. 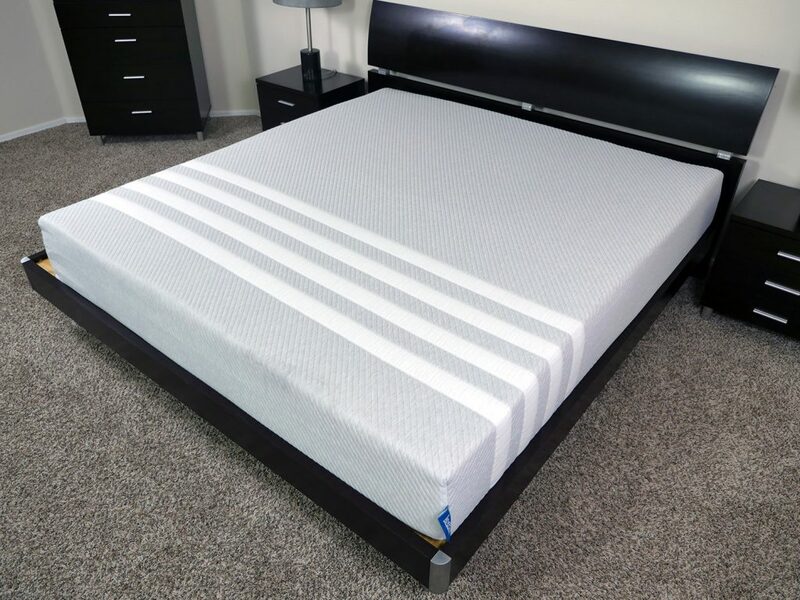 The 5cm of Avena foam on top of 5cm of memory foam create a strong combination, resulting in a beautifully balanced equation of softness and support. When you combine the quality construction with a sub-£700 price point, 100 day trial period, 10 year warranty, free shipping, and an extra £50 discount as well…it’s hard to come up with a reason not to at least give the Leesa a try. 2017 Update – At this point, I’ve had my Leesa over 2 years and have slept on it for many of those months. Since launching Sleepopolis I’ve tested over 100 different mattresses. 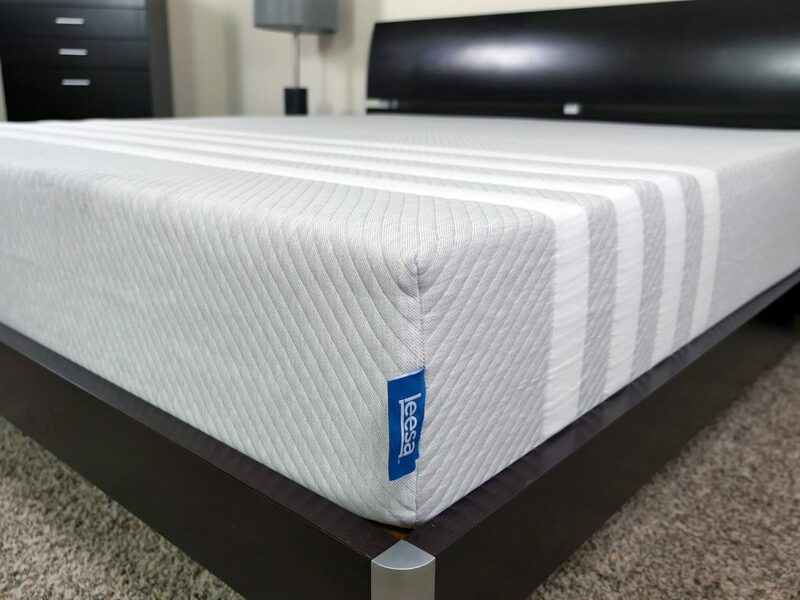 Leesa continues to be one of the top tier picks on the market and one of the best overall mattress values available both on or offline. Moreover, I’m impressed with their continued commitment to helping improve communities around the United States.Their Leesa One:Ten program donates 1 mattress for every 10 they sell, they donate almost all returned mattresses, and they plant 1 tree for every 1 mattress they sell. All things considered, it’s an exceptional mattress from an exceptional company. Click here to learn more and shop the Leesa mattress. So, is the Leesa mattress right for you? I would recommend it for almost anyone. It’s fairly neutral in terms of overall firmness. The subtle hug of the Avena foam combined with supportive memory foam meshes well for any sleeping position. Ready to order your Leesa? Use this link to grab our discount link and save £50 instantly on any Leesa mattress! Leesa is the full package. From the mattress to customer service, trial period, refunds, shipping, and their active approach to philanthropy, they check all my boxes. It’s truly a high-quality mattress at a great price suitable for almost any sleeping type.